A Burlington Board of Health meeting Tuesday night on the effects of basing F-35 fighter planes at the city-owned airport was bookended by often-emotional condemnations of the plane's anticipated impact and by a military officer's assurance that the jets will prove to be good neighbors. In between, three experts offered generally critical testimony on the likely health consequences of stationing up to two dozen of the fighters at BTV. Noise produced by the F-35 "is probably going to be quite similar to what we have with the F-16" currently based at the airport, said Vermont Air National Guard Lt. Col. Luke "Torch" Ahmann, who has piloted F-16s for the past 12 years. Dressed in a flight suit and clicking his way through a Power Point presentation in city hall's Contois auditorium, Ahmann said the F-35 will be louder than the F-16 in some locations near the airport but quieter in others. Noise-mitigation efforts can further reduce the F-35's sonic impact, Ahmann added. The plane will also undergo refinements as it is flight-tested in the coming years, he noted. F-35s would not be deployed in Burlington until 2020, Ahmann said. A final version of the Air Force's environmental impact statement on basing the jet in Vermont is scheduled to be published on January 13. An actual decision on where the plane will "bed down" is to be made roughly a month after that, Ahmann said. The Air Force has designated Burlington as one of two "preferred" sites for hosting the F-35. Hill Air Force Base in Utah is the other favored location. Ahmann insisted in his presentation to the five Board of Health members and to an audience of about 50 Chittenden County residents that commercial and military aircraft noise has been "proven as compatible with residential use" of properties near BTV. The Air Guard officer did not address the fact that the Federal Aviation Administration has facilitated demolition of about 100 homes in a zone abutting BTV that experiences noise levels deemed excessive for residential use. The three-hour meeting began with comments from a dozen members of the public, all of whom opposed the F-35. The F-16 already harms the health of many of those exposed to its noise, particularly children, said South Burlington resident Janice Schwartz. "I have seen children scream and cry on the playground" as the jets boom overhead, she declared. "I have seen children wet their pants." Some speakers cited scientific data on the negative consequences of exposure to loud noise. Katherine Kirby, a philosophy professor at St. Michael's College, referred the panel to a recent World Health Organization study that she said finds excessive noise to be damaging to children's cognitive development. Among all sites in the United States considered as host locations for the F-35, only in the Burlington area would large numbers of civilians be exposed to health dangers associated with the aircraft, Kirby said. "We're told that bringing the F-35 here would be an honor for the Guard. An honor, yes," Kirby added. "But at what cost?" Eileen Andreoli, a Winooski resident active in the anti-F-35 campaign, told the board that because the city of Burlington owns the airport, it has "responsibility for the health and welfare of all municipalities affected by operations of the airport." The Board of Health plays only an advisory role. A statement on its website says the board "may recommend health-related rules and regulations, ordinances and policies." 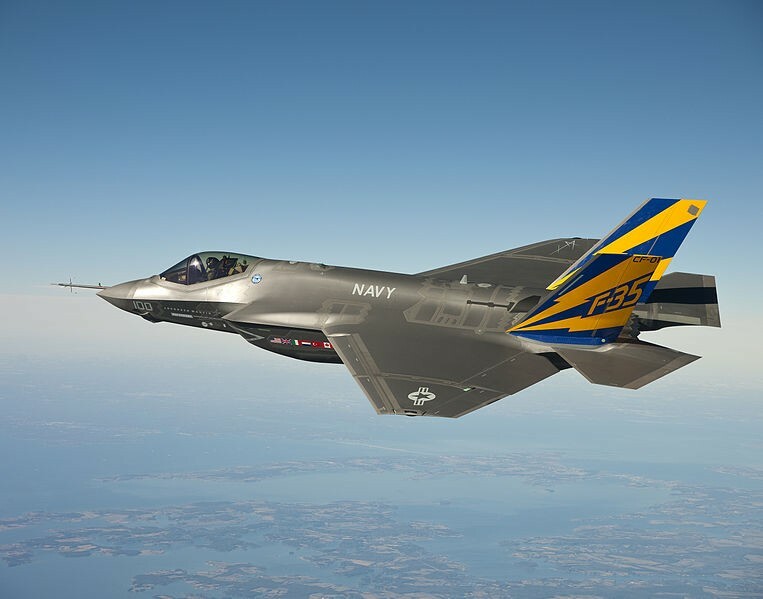 Board members gave no indication on Tuesday of what they might recommend in regard to the possible basing of F-35s at BTV. Chairman Austin Sumner, the Vermont state epidemiologist, did ask numerous questions of the four invited speakers. Sumner mixed technical queries with requests for non-specialized information. In contrast to his probing approach, the four other board members asked few questions of the witnesses. Les Bloomberg, director of the state's Noise Pollution Clearinghouse, said the Air Force had not responded to his requests for clarification or elaboration of points contained in the draft version of the environmental impact statement. Such silence "only happens when they have something to hide," Bloomberg told the board. He said the Air Force's environmental evaluation is based mainly on "outdated data." More detailed research on the health impact of noise has been conducted in the past decade but is not reflected in the Air Force's draft document, Bloomberg commented. Low-income and nonwhite Vermonters account for many of those who will be most affected by the noise of the F-35, he observed. "Most people living near airports are those who can't afford to leave," Bloomberg said. John Reuwer, a South Burlington primary care physician, testified that while there is ample evidence of harmful effects of aircraft noise, "there's almost no evidence that the effect of these planes is harmless." "Long-term," he warned, "there is going to be more cancer and cardiovascular disease from accepting this airplane." Dr. Mark Gorman, a professor of neurological sciences at the University of Vermont, testified only in regard to the question of whether aircraft noise raises the likelihood of strokes. "It's a very murky area," he said. Coming to conclusions about a correlation between strokes and exposure to loud noise is "a difficult endeavor," Gorman added.